We offer fully comprehensive collision repair work, including a dedicated mechanic for your vehicle. All of our work is backed by a limited lifetime warranty. From auto body repair to claim handling, we’ll make the repair process seamless and easy. We even offer shuttle services county-wide. Our shop is certified by most manufacturers ensuring that all repairs and bodywork is up to the high-quality standards they set. Tesla owners expect excellence, precision, and innovation at every turn. So do we. All American Paint and Body is a family owned and operated business, serving beautiful San Diego County for more than 25 years, specializing in both foreign and domestic vehicle repairs. Our business has grown as a result of our quality work and superior customer service. We place a strong emphasis on continuous education and excellence in the automotive industry. As a result of the complex technologies incorporated in today’s vehicles, it is strongly recommended that any paint work and body repairs be performed only by those repair facilities that have manufacturer training and certifications. All American Paint and Body is well equipped, with state of the art equipment and an exceptionally trained staff. We are certified by most manufacturers and independent organizations ensuring quality processes. Quality is our passion and service is our pleasure. We will be most pleased to serve your needs and demonstrate our legendary quality and workmanship. 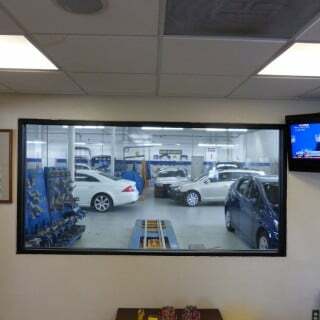 San Diego’s Best Auto Body & Collision Repair Shop! You’ll receive a free estimate for repairing the damage to your vehicle, including an itemized list of body shop repair services, along with an estimate for time of completion. We accept all collision repair and paint refinishing work in cooperation with every automotive insurance carrier. In the State of California, you have the right to select which auto body shop will repair and paint your car. If the collision repair is not covered by insurance, we work directly with you to restore the vehicle to its pre-accident condition. For the best quality auto body shop, come to All American Paint and Body to get the job done right. We offer county-wide shuttle services! Car rental return and free detail for every car we service. The Institute for Automotive Service Excellence is nationally recognized for testing and certifying individual repair technicians and estimators who have achieved an advanced level of competence, knowledge, and expertise. The majority of our employees have achieved “master” certification, the highest level possible, allowing All American Paint and Body to be a “one-stop-shop.” By achieving this recognition in their respective fields, our proud staff at All American Paint and Body demonstrates their pride, skill, and effectiveness as professionals and individuals. The Inter Industry Conference on Automotive Repair educates and certifies employees of both repair shops and insurance companies on important repair procedures and standards. Many of our employees at All American Paint and Body have cared enough about the company and their craft to seek and obtain the I-Car certification, achieving Gold Class Status (the highest possible rating).